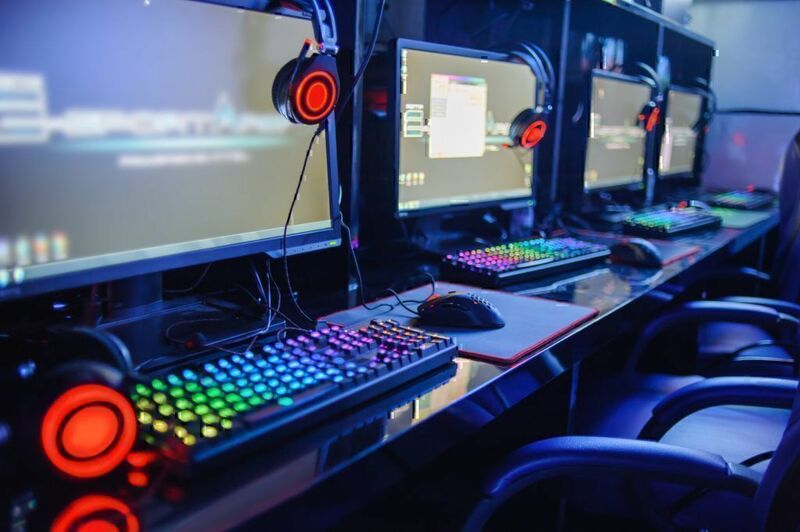 Roblox Customer Care and Support with FAQs: What do I do if my account was hacked? Top Roblox Question: What Do I Do if My Roblox Account Was Hacked? How do I contact Roblox customer service? 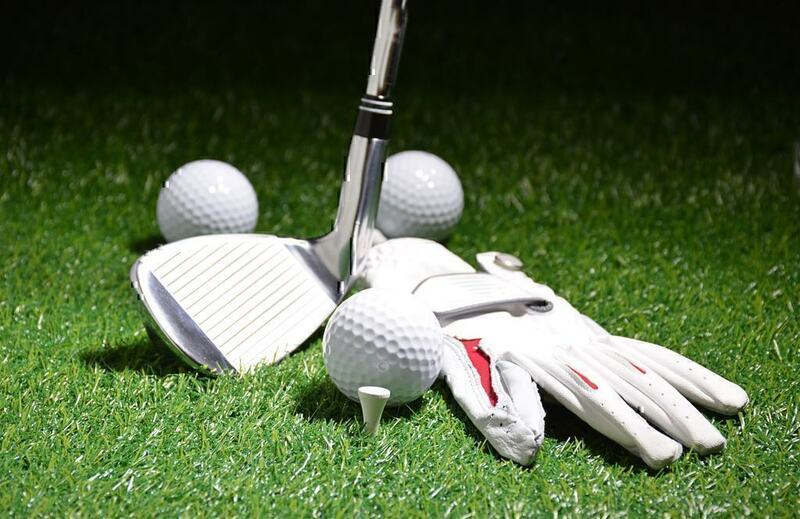 What do I do if my account was hacked? How do I get free Robux? What can I do if I didn't get my Robux? What do I do if I have an unauthorized charge from Roblox Сorporation? 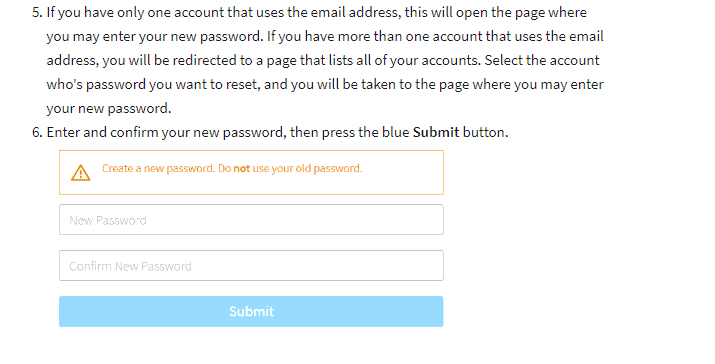 What can I do if I forgot my password or username? Can I transfer my Builders Club membership? 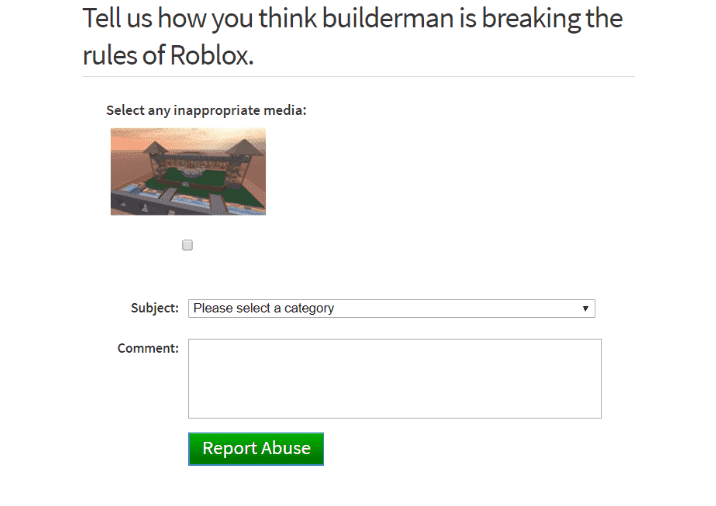 How do I report inappropriate behavior on Roblox.com? Below is a summary of questions, in no particular order, that Roblox consumers have asked the most. 1. How do I contact Roblox customer service? Roblox customer service team can help users with billing and account related questions. For questions about site features, game play or building, consumers can visit the Roblox Wiki and read Help Articles on company's website. Customers may also see if their questions are answered in the Roblox FAQs. Users can call the Roblox customer support by phone number 1 (888) 858-2569, or complete the online help form at roblox.com or send correspondence to the company mailing address. 2. What do I do if my Roblox.com account was hacked? 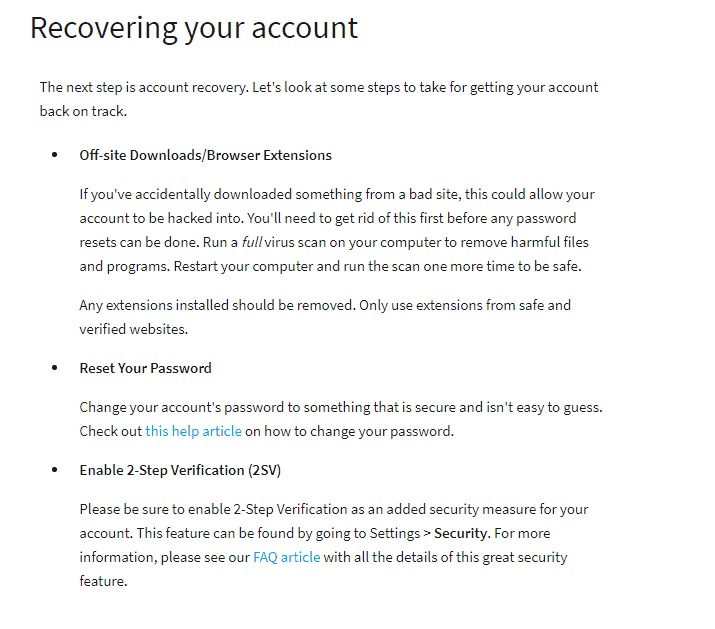 After removing any suspicious downloads or extensions, users should reset their passwords. The Roblox Corporation also recommends that users enable 2-step verification as an added security measure for their account. This feature can be found under Security in Settings. 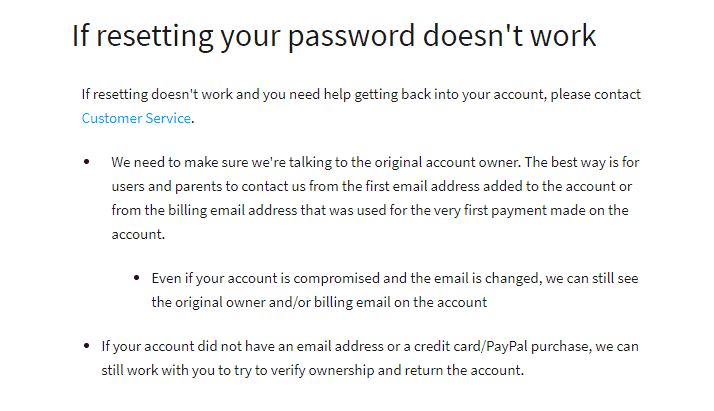 If resetting the password doesn't work, the company suggests contacting Roblox Customer Service because company wants to ensure they are talking to the original account owner. 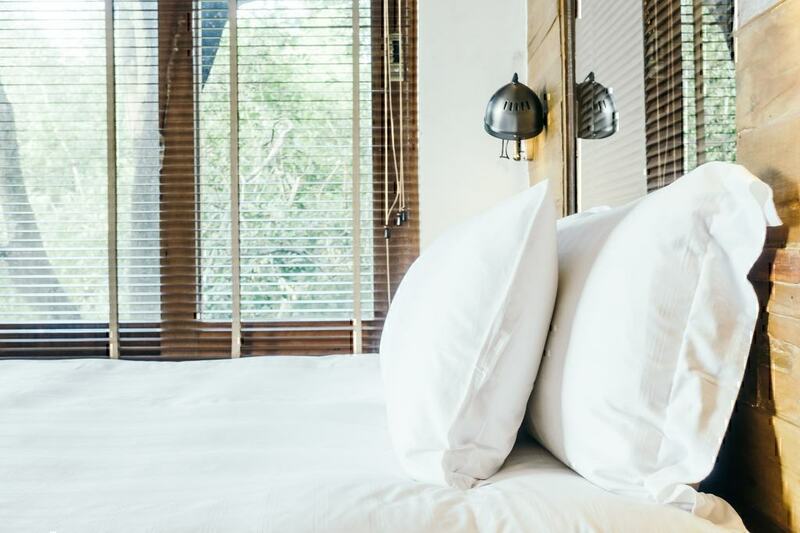 “The best way is for users and parents to contact us from the first email address added to the account or from the billing email address that was used for the very first payment made on the account,” the site advises. 3. How do I get free Robux on www.roblox.com? The company states in its Roblox FAQs that there is no way to earn free Robux. 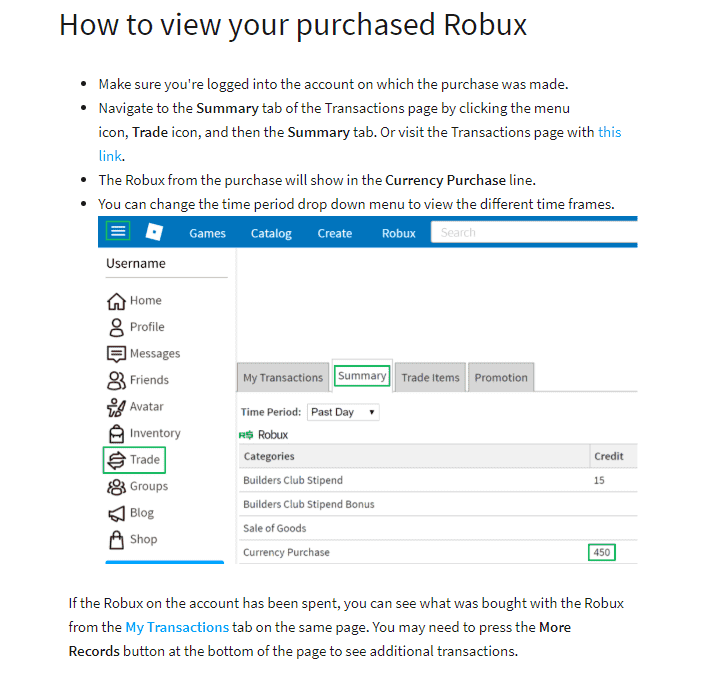 However, users can obtain Robux in different ways, as described below. 4. What can I do if I didn't get my Robux from Roblox.com? 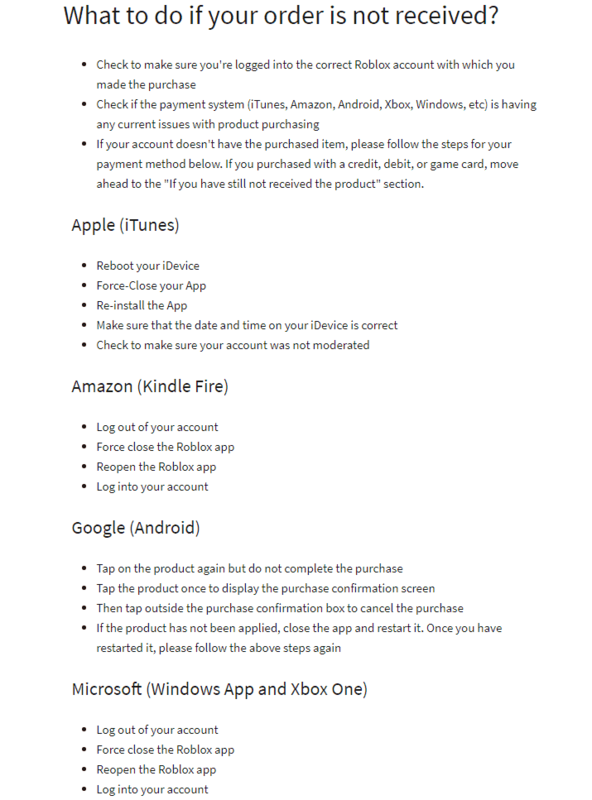 Roblox FAQs section answers this question by urging users to view their purchased Robux and make sure they are logged into the account which made the purchase. Roblox.com consumer questions that require more detailed options and/or user devices on how to resolve problems fall under the categories listed below. 5. What do I do if I have an unauthorized charge from Roblox Corporation? 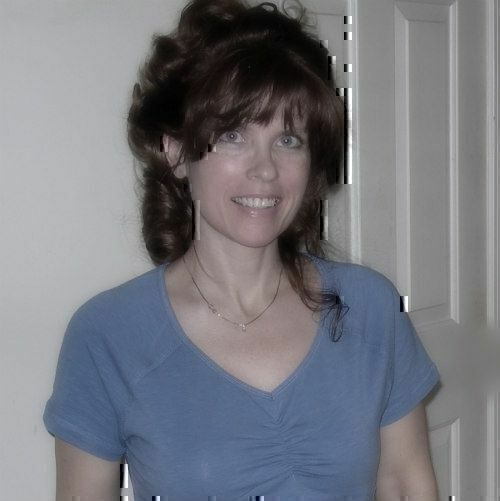 The company directs any consumer questions regarding unauthorized charges to its Help Section. 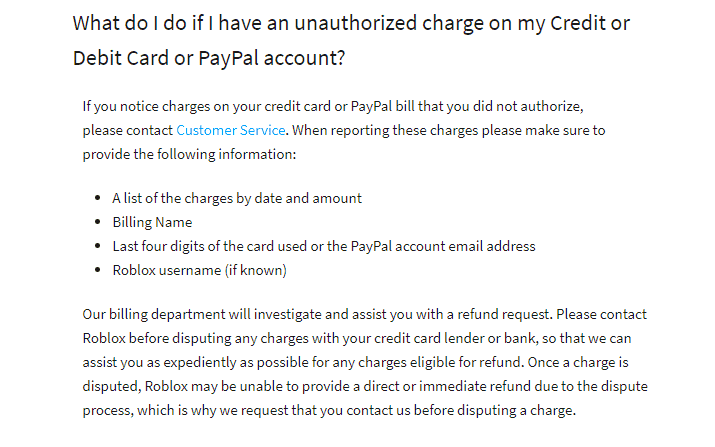 Roblox.com suggests consumers that have questions regarding unauthorized charges to credit cards, debit cards, or PayPal accounts should contact Roblox Customer Support for assistance. 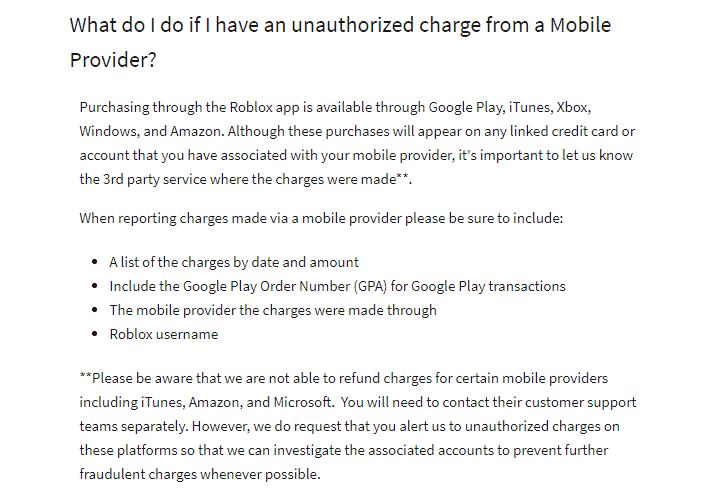 Roblox also asks that when reporting any unauthorized charges, users should provide a list of the charges by date and amount, their billing name, last four digits of the card and their Roblox username. After receiving this information, Roblox customer help will investigate the matter and assist users with a refund request. Company asks users to contact them before disputing any charges with credit card lenders or banks because “…Once a charge is disputed, Roblox may be unable to provide a direct or immediate refund due to the dispute process…”. 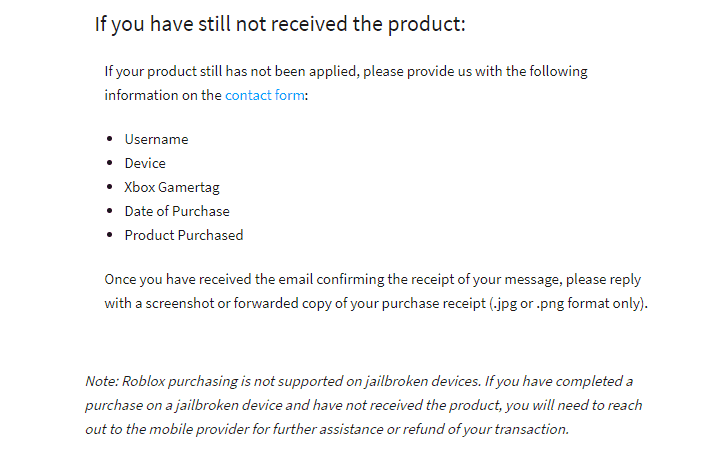 The Roblox Corporation also states that they are unable to refund charges from certain providers. 6. How do I get a refund from Roblox? According to Roblox terms, all payments are final and not refundable or exchangeable, except as required by applicable law. 7. 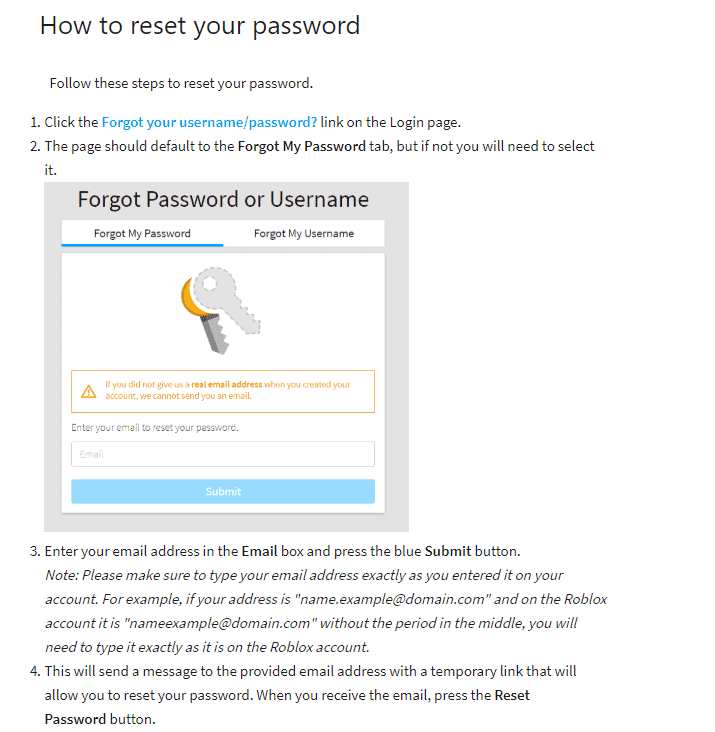 What can I do if I forgot my Roblox.com password or username? If the above steps don't fix the problem, the business suggests contacting Roblox customer service team. 8. Can I transfer my Builders Club membership to a different Roblox account or from one Roblox account to another? According to Roblox FAQs, Builders Club memberships and assets, such as Robux and items, are non-transferable. 9.Why was I banned from www.roblox.com? Roblox Corporation states in its Community Rules that bans can occur for many reasons listed in the terms of service. They include hate speech or actions, impersonation, defamation, threats, looking for dates, sexual content, discrimination, and unethical or illegal activities. 10. Why was my Roblox.com account deleted? Similar to being banned, Roblox explains in its Community Rules the various reasons why an account may be terminated. 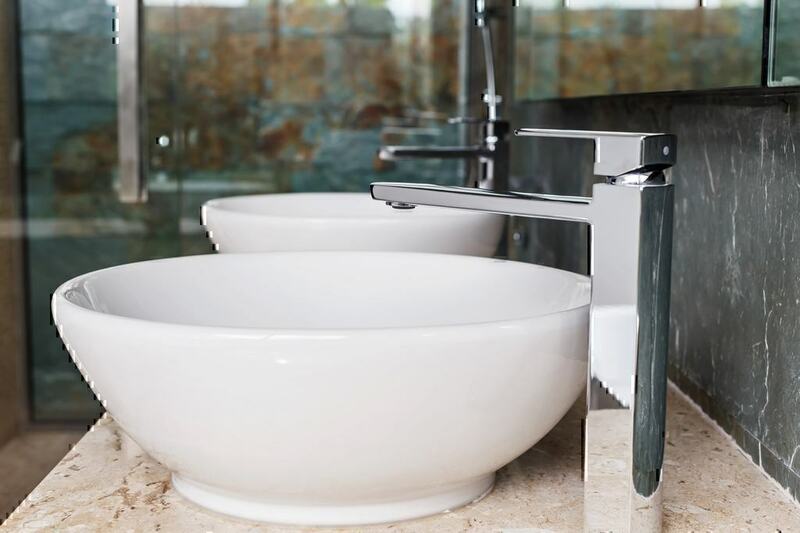 Usually this occurs after being warned about repeated violations of terms. 11. How do I report inappropriate behavior on Roblox? 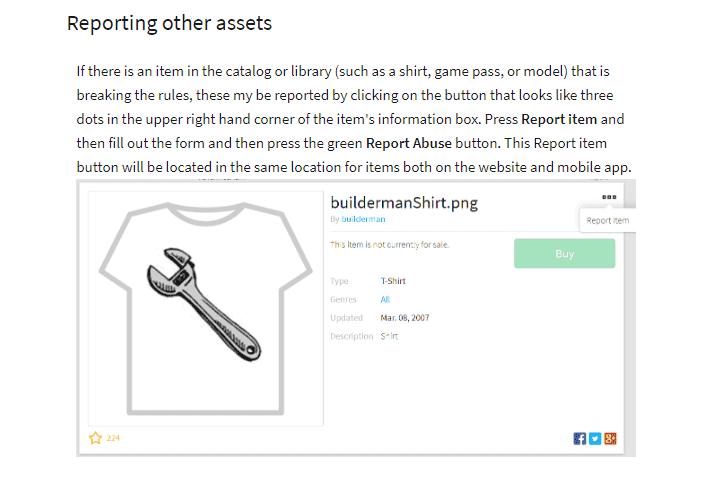 Roblox Corporation asks that users use the "Report Abuse" feature located on their site to report inappropriate behavior to moderators. 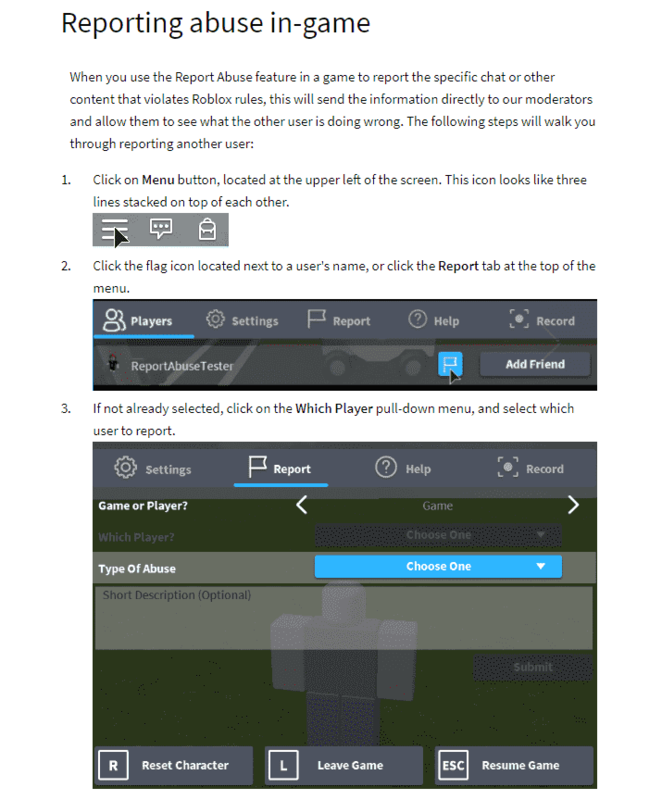 There are different ways to report abuse, but anything users find that is inappropriate, such as games, chats, advertisements, or other abuse, can be reported by following the steps below. Users can select how games are violating rules. 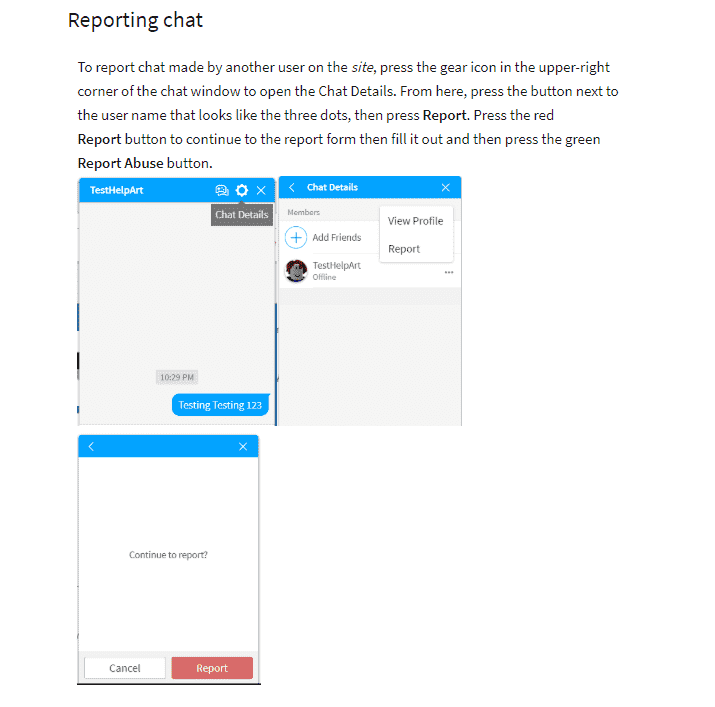 Users can also report inappropriate chats, for the detailed instruction go to Roblox Support "How to Report Rule Violations" tab. 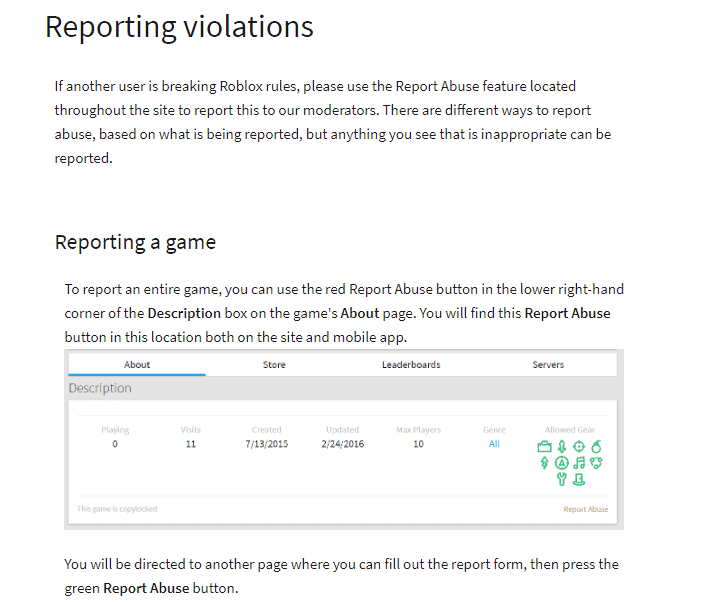 Gamers can report in-game abuse if they assume that Roblox rules were violated. 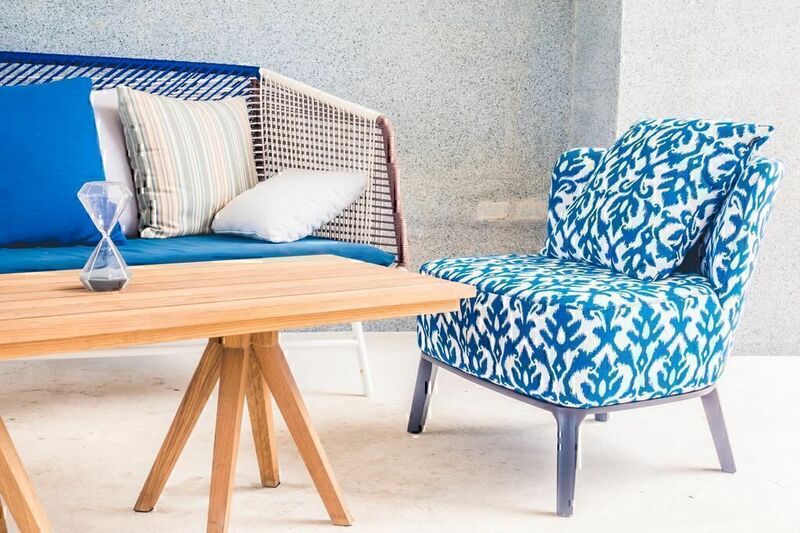 Ask the company via our Questions and Answers section. Contact the business using Roblox customer service info on PissedConsumer.com.